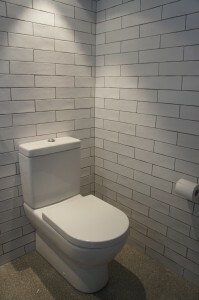 This client chose to use 300 x 75mm matte white subway tiles, with a wavy finish, giving a very rustic appearance to the walls. 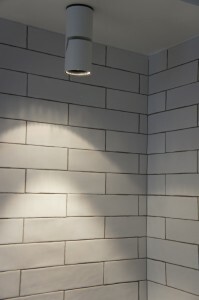 Grouted with Ardex slate grey, to enhance the undulation of the tiles. On the floor, the tiles were polished 500 x 500mm concrete slabs, with pebbled speckle finish. 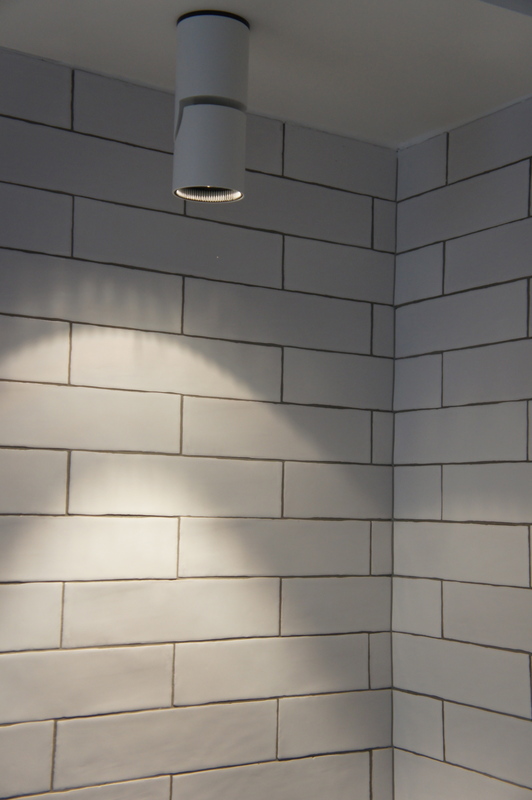 The client was completely satisfied with the choice of tiles and overall style of her W.C. 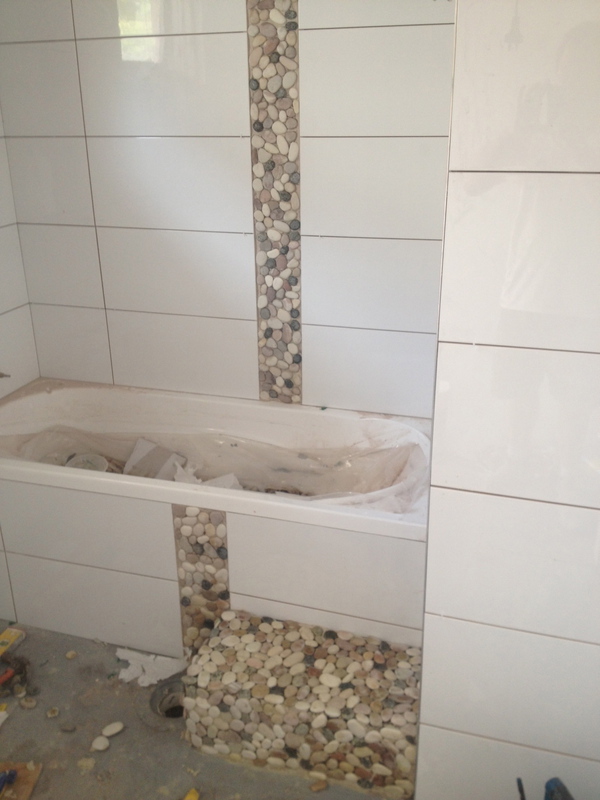 These clients chose to lay riverstone natural tiles on their bathroom floor, bath step and feature strip – it looked AMAZING! Tiler’s tip: the riverstone should always be sealed with your choice of either enhancer plus or a penetrating sealer, to protect the condition of the tile.